Posted On January 04, 2018 by Team iCynosure. It’s 6:00 a.m. and the alarm is blaring. I reach for my phone, and swipe off the horrid noise and snuggle back into the quilt. In less than a minute I straighten up and get out of bed, knowing well that I’m already fifteen minutes behind schedule. I get dressed, head to the kitchen, make and pack lunches and start to get #PrincessHeer ready for school. As I wave goodbye and see the little flying kiss from the school bus, I head to work. Within minutes of reaching the office, I start the grind of emails, designs, narrations and more. Yes, that's practically me every day, Monday through Friday! In all of the routines that I've created for myself, I have somehow lost the one thing that I loved the most, a nice cuppa! It's been ages since I sat peacefully sipping a cup of green tea looking out into the beautiful sky, enjoying its natural goodness. 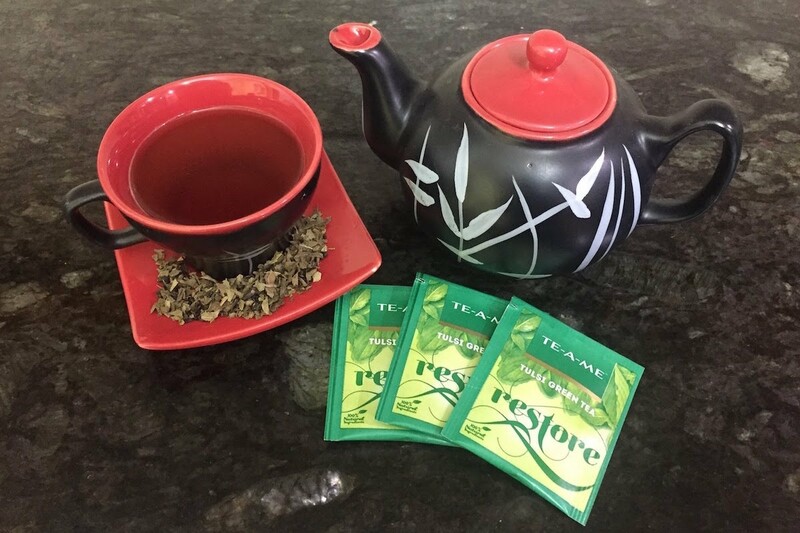 No one needs to really tell me how good natural green tea is, to improve my heart health, aid in weight loss, and prevent some serious ailments. But did I know that the antioxidants in green tea play a huge role in enhancing skin health, eliminating dark circles and treating puffy eyes while exhibiting anti-ageing effects. Not only that green tea also helps improve scalp health and consequently strengthens hair. Of course, I did! But did you? If not these reasons should be enough for you to add a cup of green tea to your daily liquid intakes. To my surprise, over the holiday season, as I worked from home, DH made me a nice cup of warm green tea. It was perfectly flavoured, at a near accurate temperature, tempered with a few tulsi leaves and sprinkled with cinnamon dust. What I loved about the tea was that it was clear of any added flavour and was not bitter at all. It was one of the best green teas I’ve tried. 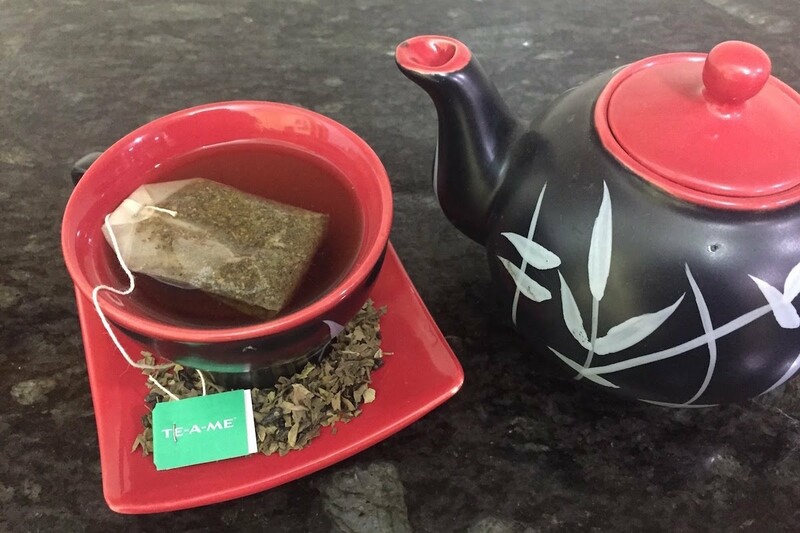 Every sip was infused with the natural flavours of green tea, Tulsi, and cinnamon. When I asked, DH introduced me to TE-A-ME Teas, a brand by Madhu Jayanti International Limited - a 70-year-old company with a legacy of producing fine teas. The company serves 10 Million cups every day, across 42 countries, developing specific taste profiles to offer to a variety of choices. The product portfolio ranges from regular Black Teas to Aromatic Spice Teas and Fruit and Flower Infusions apart from the Natural Green Teas and the Wellness Infusions. With such a huge palette of flavour that the brand offers and a house full of green tea lovers, I’m now experimenting with the ways I can make green tea. I’m addicted to Tulsi Green Tea and I'd prefer the normal preparation method that is green tea infused in warm water, while DH loves the Natural Green Tea as iced tea. For a little one who loves green tea as much as her parents do, I add a little twist to the preparation for her, I'm going to make Green Tea Ice Cream for her. How? Dip 3-4 bags Green Tea in a few spoons of hot water and let it cool. Whip one cup of heavy cream until it stiffens and add 1/4th cup of condensed milk and cooled green tea to it. Add the mix to a popsicle tray or ice cream pan and freeze as appropriate. Enjoy your Green Tea Ice Cream. So don’t let any excuse keep this miracle product away from your daily food intake. 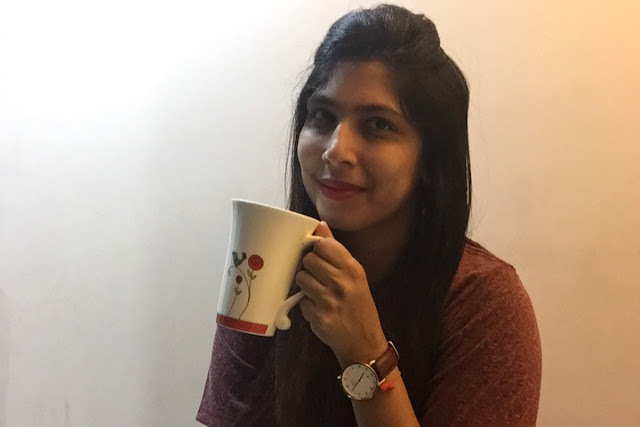 Give your health its benefits, give you pocket a break (To avail a 20% discount on teameteas.com use discount code HEENA20 during check out) and come back to thank us later.